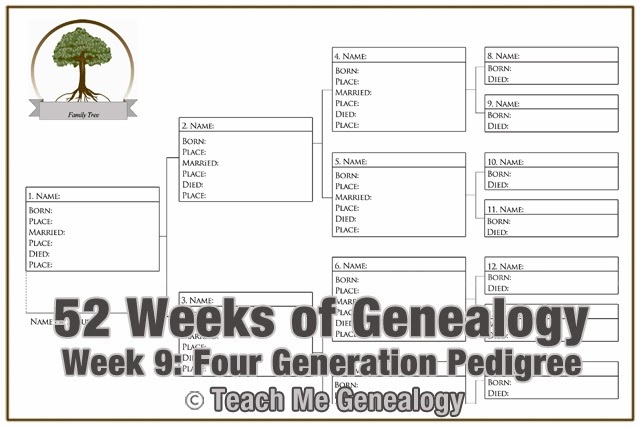 This week it's all about getting your four generation pedigree chart completed. 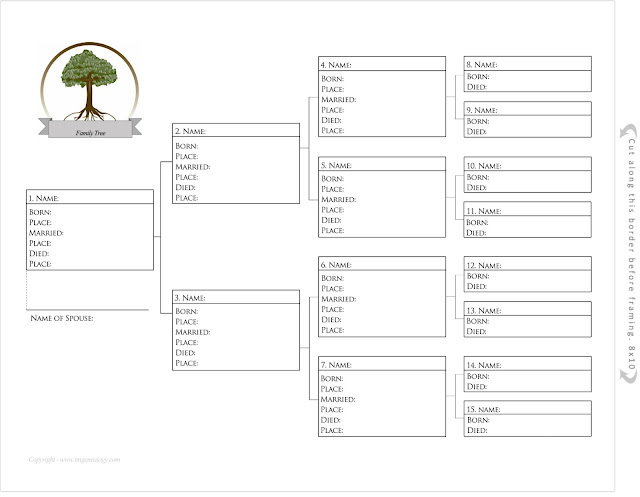 It's really simple with these type and print pedigree charts designed by Teach Me Genealogy. For female, always use the maiden name, (First, Middle, Maiden). 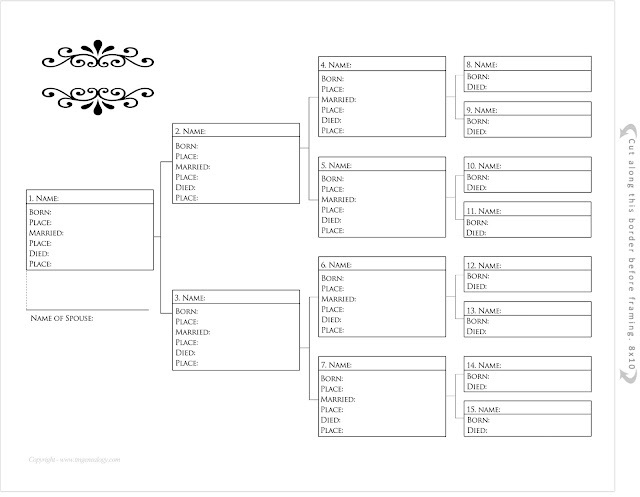 Never use married name on a pedigree chart. The male ancestry name always goes on the top, ascending to the right. The female name always goes on the bottom, descending to the right. Now, let's start. Choose your style, then download or print. 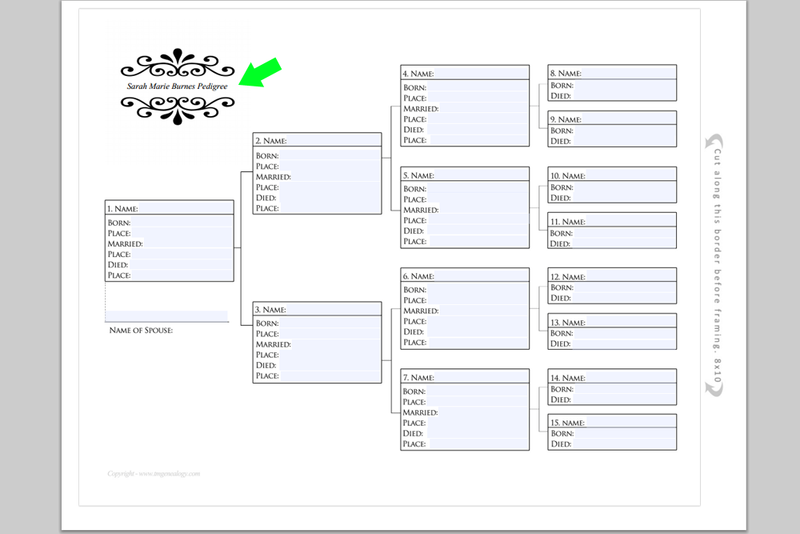 Pedigree Chart #1: Click the pedigree chart below that you wish to download. 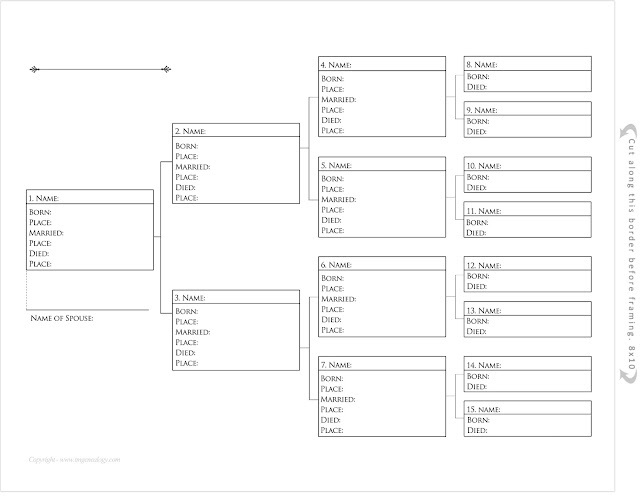 After you have clicked on the pedigree chart, you will now be in Box.com. Click on "download" or the printer icon to print. Once downloaded and opened Allow up to 10 seconds for the the cursor to become active for the "type and print". 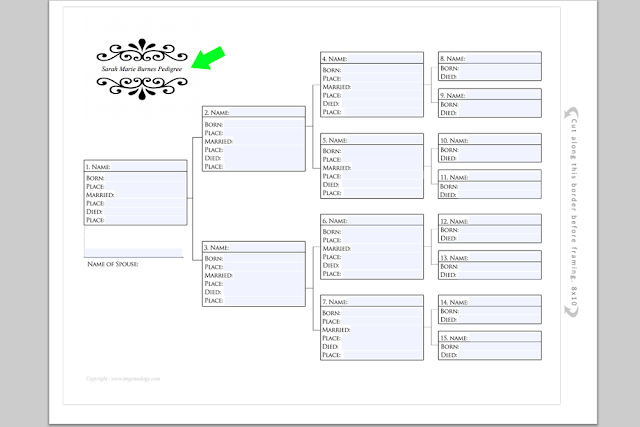 Click your cursor on your pedigree chart (sometimes it can take up to 10 seconds to become active), start typing and hit "Tab" to move to the next field. "When You Finally Go Back to Your Old Home..."